March 12-18, 2017 has been declared Environmental Health Week. Proclamations are provided by the Governor's Office to increase awareness of significant issues in Michigan. All proclamations can be found at http://www.michigan.gov/snyder/0,4668,7-277-57577_59874---,00.html. The Michigan Groundwater Association is offering a 2-day training on February 8-10, 2017 at the Comfort Inn & Suites in Mt. Pleasant. The first two days are tailored for new sanitarians. There may also be some scholarship monies for new sanitarians to attend. Contact Dan Milan at 989-773-9938 for information about the training and/or scholarship availability. Click here for brochure. This is a time when NGWA and its partners educate the public about the resource of groundwater, its importance to public health, quality of living, and the environment. For those who rely on groundwater from a household water well, it also is a time to help them learn how to take care of their water well system. Visit the NGWA website to learn more about being a Groundwater Advocate. Washtenaw County Public Health will be hosting an REHS review course on December 6, 7 & 8, 2016 in Ann Arbor. This course is designed to help you study for the NEHA REHS exam. See flyer for details or go to www.registeredsanitarian.com to register. As of November 1, there is still space available in the course. 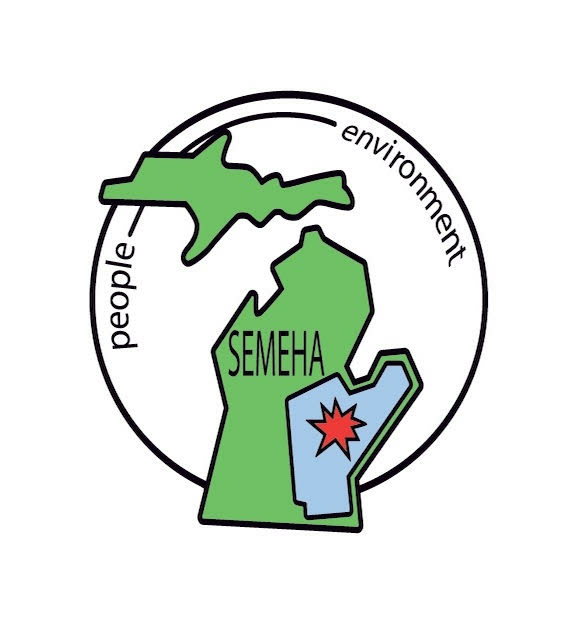 The Michigan Environmental Health Association will hold its Annual Education Conference March 15-16, 2017, at the Holiday Inn in Big Rapids, MI. The MEHA AEC Planning Committee cordially invites you to submit an abstract to be considered for presentation at the 2017 conference. The conference attracts a wide variety of environmental health professionals and is a great opportunity to share your efforts and experiences working to advance the environmental health profession. Questions can be directed to AEC@meha.net. The University of Michigan is sponsoring a Great Lakes Climate Adaptation Forum October 5-7th, 2016. There are panels regarding public health impacts. Travel scholarships are available. This conference is hosted by MDEQ, the City of Marquette and The Superior Watershed Partnership. IEHA invites MEHA members to the 2016 Conference at the Blue Chip Event Center, September 26-28, 2016 in Michigan City, IN at member price of $205.00. Registration includes 3 breakfast, 2 lunch, 2 dinners, breaks and entertainment. IEHA has secured a nightly hotel rate at $89.00 or $109.00. Hotel block code information is on the registration form. All information about the conference can be found at iehaind.org At the home page click on conference tab. Registration and hotel deadline is September 4th. If interested in attending, when filling out the registration form write MEHA on the “agency” line. Hope to see our sister association members at the conference in Michigan City, Indiana!